Six Month Smiles is a short-term cosmetically focused orthodontic treatment for adults. With Six Month Smiles, it is possible to get the esthetic smile you have always wanted in a much shorter time than with conventional braces! Six Month Smiles uses special Lucid-Lok® clear brackets and tooth-colored wires to place low forces on teeth, while discreetly blending in. 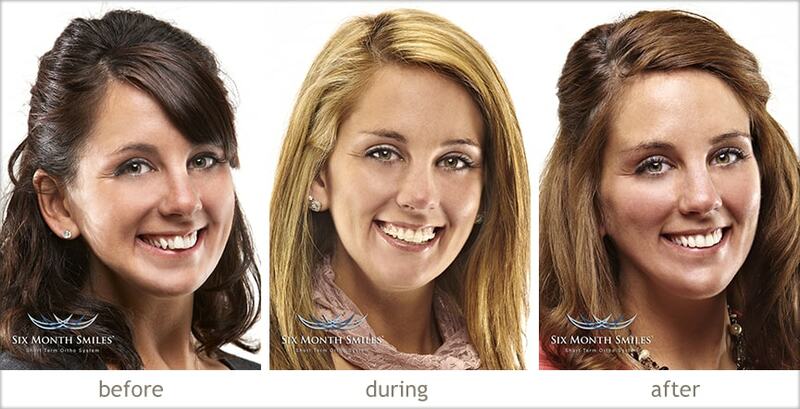 Who is Six Month Smiles for? This system is great for adults who are unhappy with their front teeth but do not want the commitment of traditional orthodontics. Six Month Smiles focuses mainly on the front teeth that are visible when you smile. For significant bite changes, traditional braces are still recommended. Does it really take six months? Six months is the average treatment time. Depending on the case, typical treatment range is 4-8 months.